My family of 10 loves Swedish meatballs! They are the ultimate comfort food when served over a big helping of mashed potatoes and smothered in gravy! YUM! Mix the 2 cans of soup with 1/2 can of milk. Knead 1/4 cup of this mixture, along with the egg and bread crumbs into the ground beef. Set the rest of the soup mixture aside. Make meatballs about the size of golf balls. Brown well in 1 Tbsp. oil, making sure to roll them around periodically so they will be evenly cooked. 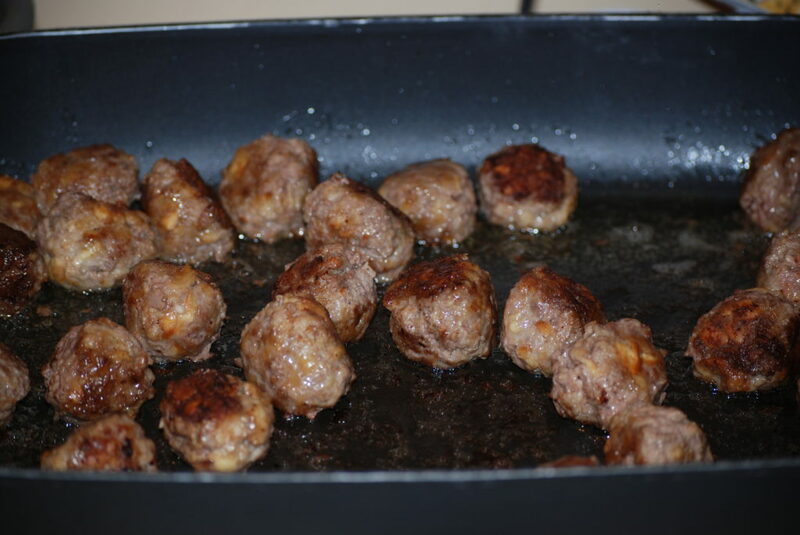 Drain oil and cover meatballs in gravy (remaining soup mixture). Simmer until hot. Serve over mashed potatoes (or rice) and enjoy! 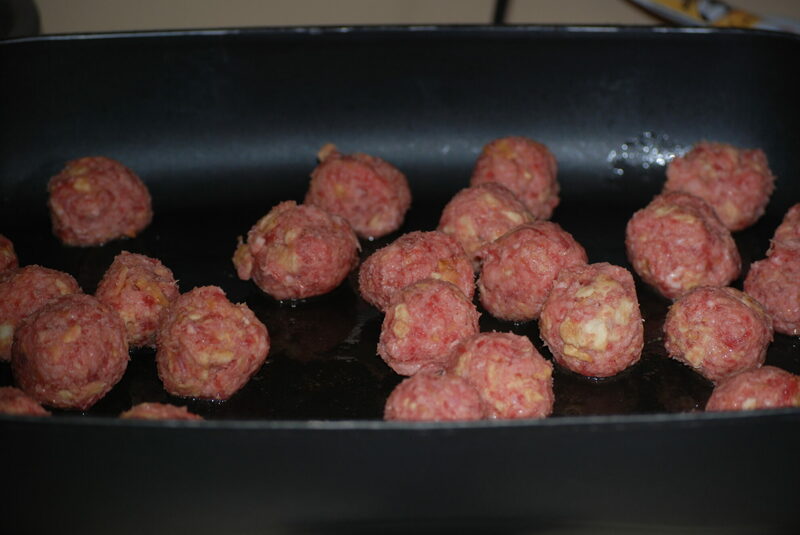 We love meatballs too; they are always a crowd pleaser. I adore easy. Besides that these look delicious and filling! Do you use rest of the soup/milk mixture for the gravy? Yes, the soup/milk is the gravy I’m referring to. My mom makes Swedish meatballs and uses 1/2 lb of pork in with the hamburger and sour cream in the gravy along with the mushroom soup. Yum. Love that recipe. This recipe sounds easy and tasty! I wonder if I could use water instead of milk. My husband is lactose intolerant. Thanks for this!